October 7, 2010 : Malayalam film megastar Mohanlal starrer movie Casanova has finally started shooting in Dubai after a series of postponements. Mohanlal will be playing the title role in this film. He plays the role of an international businessman. The much acclaimed charmer will be seen as an admirer of all beautiful things. His life is based on the philosophy ‘Love cures all’. There are three leading ladies in this film- Shriya Saran, Lakshmi Rai and Roma. Mohanlal's character gets attracted to these beautiful ladies. Thiruvananthapuram, Dec 30 : Opposing the drive to cut production costs in the Malayalam film industry including actors' fees, superstar Mohanlal Wednesday said that it was the right of the artistes to decide their remuneration. "It is an actor's prerogative to decide his or her remuneration... so let them decide that. I don't think remuneration is the only reason behind mounting costs of production. There are so many other factors," Mohanlal told reporters here. He attended the meet with cast and crew of his latest release "Evidam Swargham Anu". The hit pair, Mohanlal and Revathy, who were last seen in Raavanaprabhu, is set to appear together again. This time, they will be teaming up for Jithu Joseph’s Mummy and Me. The movie is based on the relationship between a mother and daughter. The daughter’s role will be played by Nithya Menon. The film holds high expectations. There’s news going around that producers are planning to pay homage to scripting wizard Lohithadas, who met with an untimely death last month, by making films on the story ideas which Lohi has narrated to various producers. One of the scripts planned for the team of Sibi Malayil-Mohanlal duo titled Bheeshmar which Lohi was trying to complete in his last days, will most probably get into theatres in a year. Director S. L. Jayasuriya's new Malayalam film Angel John, which marks the Malayalam debut of upcoming Tamil sensation Shanthnoo Bhagyaraj (Sakkarakatti fame), son of Tamil actor-director K. Bhagyaraj and Poornima, has started rolling from July 7 in Kochi. Superstar Mohanlal, who has a lengthy special appearance in the film, has joined the sets after completing the Dubai schedule of Murali Nagavalli’s Alexander the Great. Mamta Mohandas will be pairing up with Mohanlal. The other cast include Vijayraghavan, Lalu Alex, Bheeman Reghu and Sona Nair. Famous Malayalam film actor Mohan Lal, on Thursday formally joined the Territorial Army (TA) in the honorary rank of Lieutenant Colonel. Earlier in late 2008, veteran cricketer Kapil Dev had also joined the TA. Mohan Lal, a multitalented actor, clearly looked anxious and scared by the event as he marched up in uniform to be piped. He will be affiliated with the Kerala-based 122 Inf Bn (TA) MADRAS called the "Kannur terriers". While speaking on this occasion, the actor said: "It is an amazing moment. My family is with me in one of the best moments of my life." 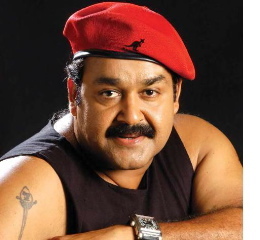 After cricketer Kapil Dev, Malayalam superstar Mohanlal has been conferred with the honorary title of Lieutenant Colonel in the Territorial Army. Territorial Army (TA), is a citizen's force of the Indian army. According to sources, the veteran actor had a fascination for the armed forces and wanted to join the army after college. The 48 year old actor has also donned the roles of army officers in two of his flicks- KeerthiChakra and Kurukshetra. Since then he has taken a fascination for the Indian Army. He has huge fan following not only among south Indian men of the forces but even among the North Indians.